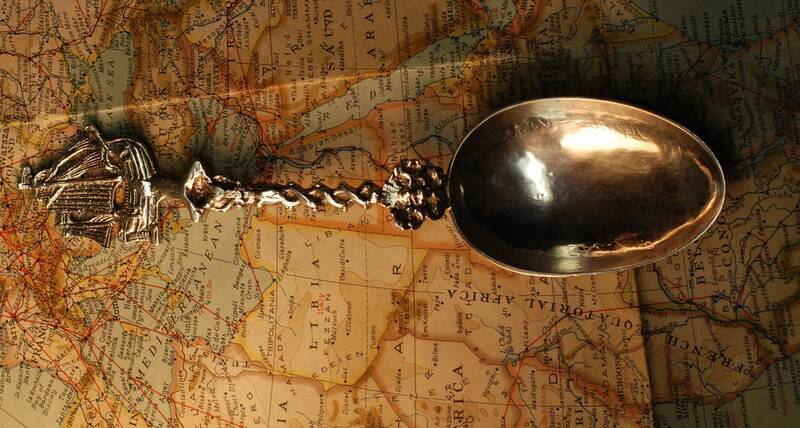 This spoon tells quite a story with its three hand engraved inscriptions. The first is likely an inscription regarding the marriage of a couple. 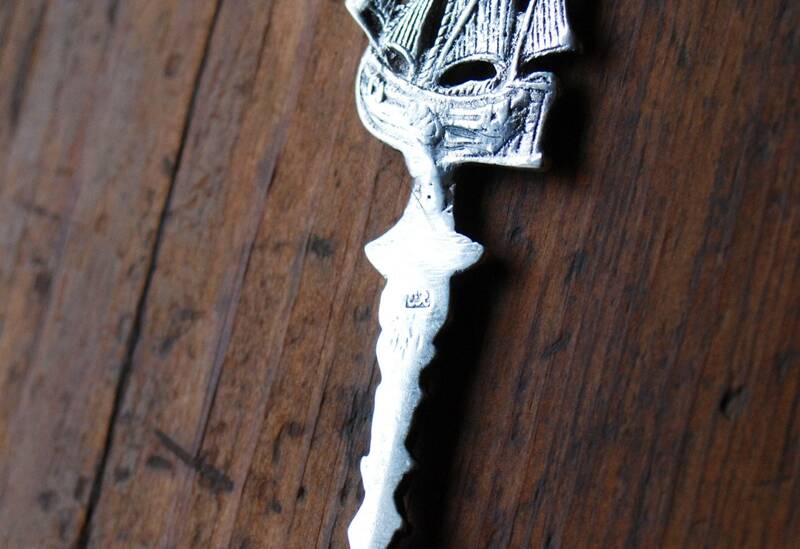 It reads T:M: 1805. 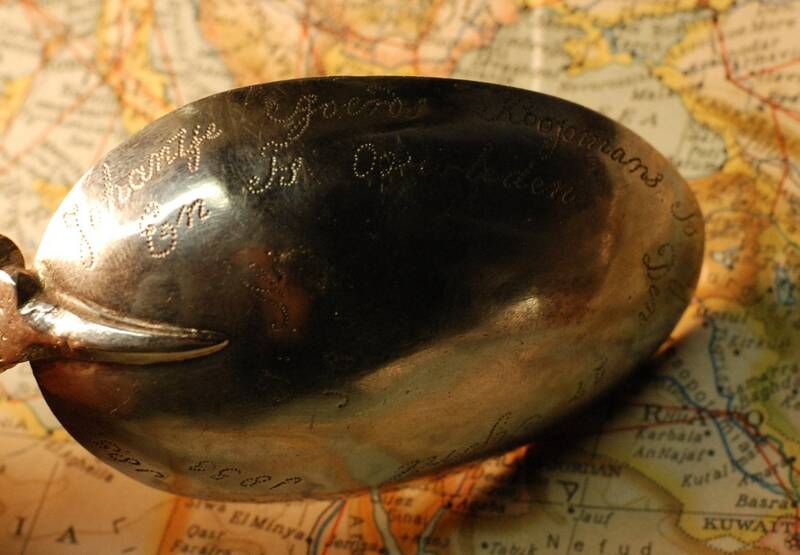 The spoon was probably given to T and M with this inscription as a commemoration. The second reads: "Johantje Sjoerds Koopmans Is geboren den 12 Maart 1830". Translated from the Dutch, this means: Johantje Sjoerds Koopmans (girl) is born March 12th, 1830. This is believed to have been inscribed at the birth of the couple's baby girl. The third tragic inscription reads, "Den 27 April 1833 en is overladen". Translated from the Dutch, this means, "On the 27th of April, 1833 she is deceased". 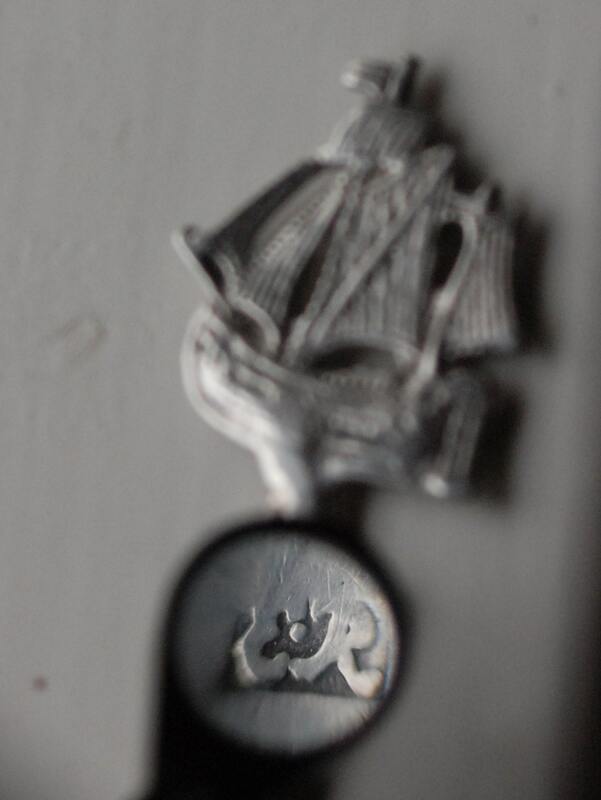 The spoon features a rigged ship and an identified maker's mark of ER, Sneek Friesland maker E. Rienstra, a smith registered from 1807-1808. FABULOUS ITEM! Shipped fast and wrapped securely; thank you!